Come Garden in Your Community! Looking for an opportunity to get to know your neighbors, get outside, learn something new, and even get a tasty snack? Join one of our local community gardens! Watch for posts about local gardens and contact the one that works best for you. 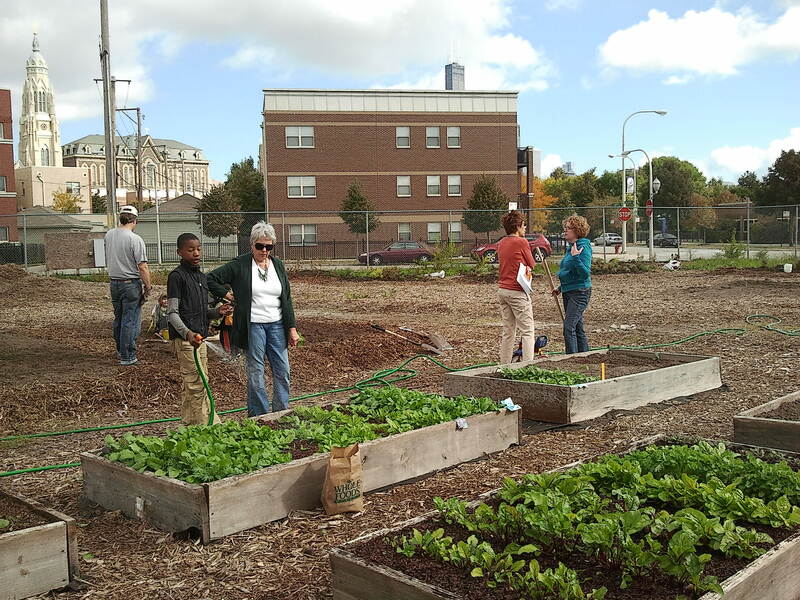 Today we’re featuring Maxwell Street Community Garden located just north of the new fire station on 13th Street between Racine and Blue Island. There’s plenty of land to be claimed at this garden that started in 2012. Membership gets you one raised mound that is 4 by 8 feet large. You will have full responsibility for this mound for one year. Water is provided thanks to the fire station as well as a fresh supply of mulch, soil, and compost at the beginning of each season. You will also have access to the children’s garden, compost materials, and special events. Returning members get first priority for beds and donate less in subsequent years. Open enrollment season is from March – May. Each member must reapply annually. A financial contribution is required to help get things started and to maintain and grow the garden. The recommended donation for all new applicants is $80.00. 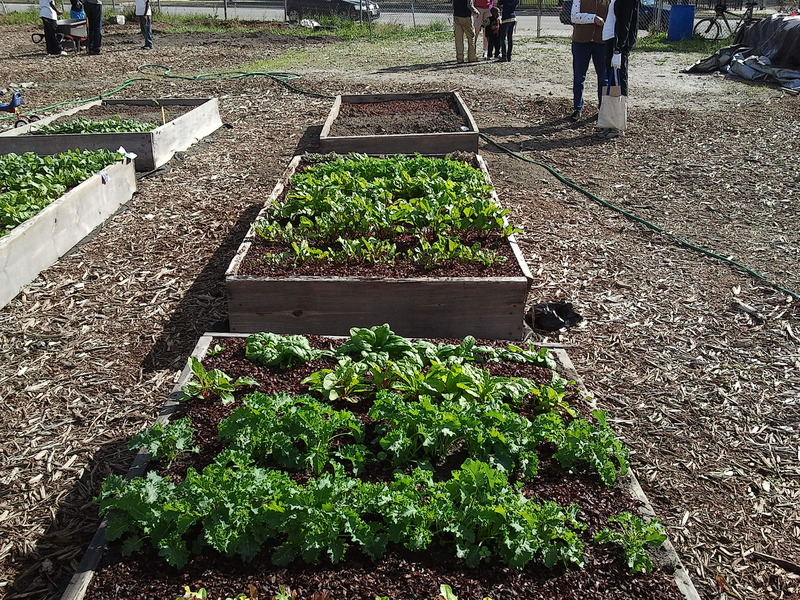 If you are interested in becoming a member but are unable to meet the $80.00 amount, community growing beds are available and specific arrangements can be made to ensure all those interested have an opportunity to participate as a member. Additionally, CHA residents in the community are eligible for a reduced recommended donation for their own personal bed and/or use of community beds. Please e-mail maxwellstreetgarden@gmail.com if you are interested in becoming a garden member. If you are interested in any of the above please mention that in your e-mail. The garden has weekly workdays on Sunday afternoons. The next workday will be Sunday, April 14 at 9:00 a.m. They are starting early because there’s always lots to do in the spring. Come by and check out the garden so you can see if it’s the right fit for you. Maybe stay and lend a hand with spreading mulch, picking up garbage, preparing new beds, painting signs, and more. Find more information on the link above or e-mail maxwellstreetgarden@gmail.com. Do you know of a local garden that we can feature? If so comment below and we’ll follow up! ← Take the time and REGISTER your BIKE!! !